Exceptional Hotel. Nothing was too much trouble for the staff they were all very professional. Breakfast was delicious. Would recommend this hotel oustsatanding value for money. They supply free shuttle into Kuta for shopping. The local Kuta Kurra bus is very easy to transport around the island. Will stay here again. Stayed here for 2 nights, the room was clean and quiet spacious. The staff was very friendly. The pool is nice and somehow its warm :). They also offered breakfast out of the buffet for free (I like the banana pancake!). They even put my name in a letter on the table inside the room (sweet!). Thanks for the hospitality! Amazed with the hotel's cleanliness! Staff were amazing!Very hospitable! They greet you with all smiles and were very helpful throughout my stay. Room was big, great A/C ,with free bottled water daily. They even had a personalized welcome note in my room together with local fruits which tasted really good.Small gesture but made me feel very wlcome.The night before my departure i informed them i needed a taxi going to the airport around 5 am. That morning, they phoned me in my room, sent a bellboy to bring my luggage in the lobby as the taxi's already waiting for me. Felt like a 5 star hotel but not the price. I highly recommend this hotel as it is safe &clean ,but their staff is really the best. My only suggestion is that they have a refillable water station. Rather than giving out free daily bottled water so we can help reduce plastics since some travellers like me are environment conscious and wont mind bringing reusable water bottle. But overall 5star rating for this hotel! We decided to stay at Natya not just once but two times during our trip to Bali. Not only were the facilties amazing and the hotel itself secure but the staff went above and beyond numerous times to ensure we had the most incredible experience. The shop in the lobby was a bonus with access to the essentials. The postives far outweighed the 10-15 minute walk into town. We will defintely stay here again! We used this hotel at the beginning of our trip to Indonesia because of its proximity to the airport and liked it so much we used it at the end of our trip as well. 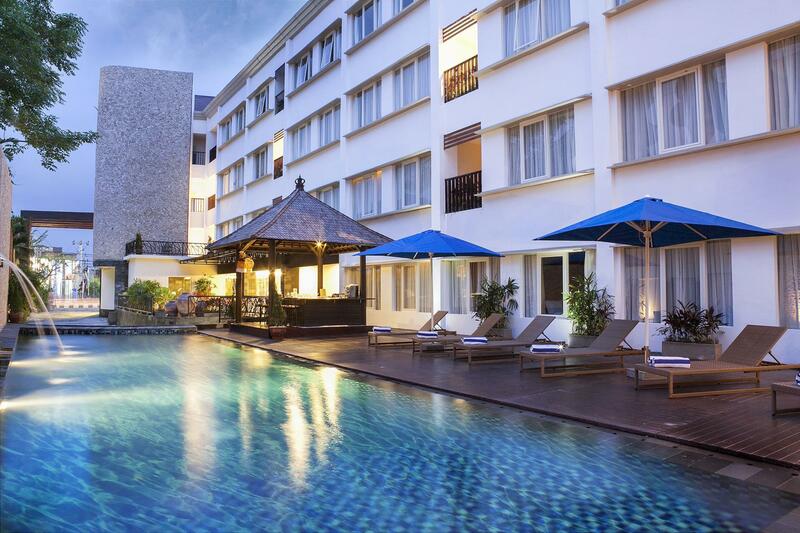 Staff are super friendly and attentive, breakfast buffet is huge and it’s a 20 minute walk to Kuta Beach. Good quality rooms.The internet should be improved in the room. Good location near to airport, mall and money changers. Nice hotel with accommodating and friendly staffs. Will definitely go to back to this hotel if we visit Bali again. Great customer service. Any staff will ask anyone if they can help with anything, or of we have any problem at all. The hotel was good too. Although some petty matters can be improved like clogged rain shower, but overall this hotel is super recommended. Best customer service! No doubt will return here if going to Bali again. We were traveling as a group and the hotel gave us connecting rooms without even being asked, which was a great thing that we really appreciated. The buffet breakfast had decent options and the pool, though a bit small, was adequate for swimming. The staff were very friendly and helpful. 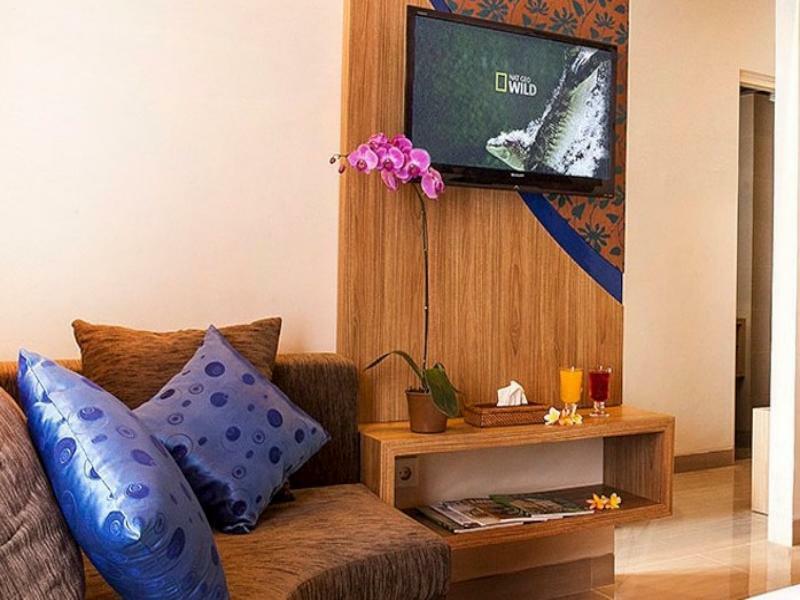 I chose Natya Hotel Kuta because I arrived in Guatemala City late and had an early morning flight so needed a place close to the airport. The hotel fit the bill and had exceptional staff. I wasn't able to have the included breakfast since I was leaving early so they offered me a box lunch which I declined but the did prepare me coffee to go. It was a perfect option for what I needed. 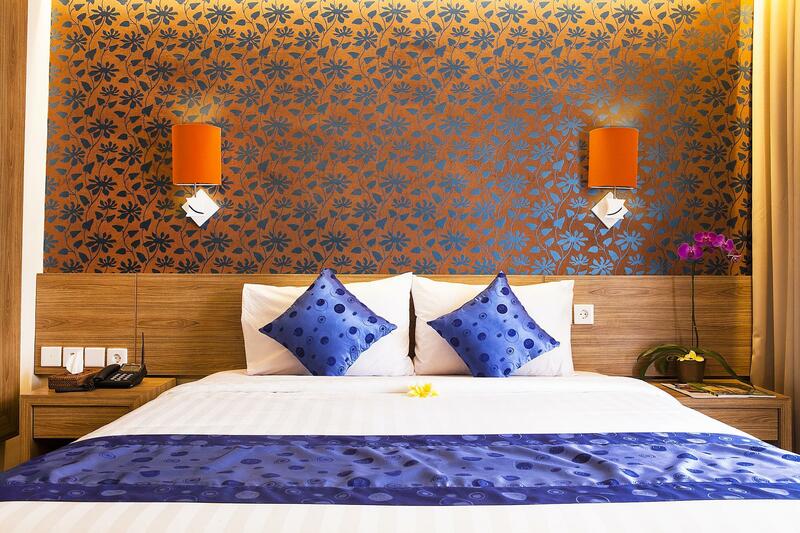 The hotel location is strategic close to the airport and shopping lot. All staff very welcome and helpful. The room was great - really clean with a nice bathroom, towels, toiletries, tea and coffee making facilities, and a TV. The food at reasonable price with good taste.. The hotel also has Coco Mart open 24 hrs. Great hotel at affordable price. Recommended hotel to stay. I stayed in this hotel when I was traveling alone to do personal business. The location is good. Nice new hotel and new furniture. The room is very clean and comfortable to sleep in. Staffs are helpful though some staffs who worked by the pool literally watched me swimming and enjoying evening breeze of Bali. Near Outlet Shops. Everything accessible. 24 hrs minimart at hotel itself.